Last year we made the tree a little more colorful and I really miss it but since me and B are having both are families over again this year on xmas we wanted to switch everything up. So This year we went for a more gold, silver, and bronze feel. I initially got the inspiration while shopping at Express because they had this whole color scheme going on on their trees and I felt it looked very elegant. I added a few more little decorations since this last pic but basically this is what it looks like. 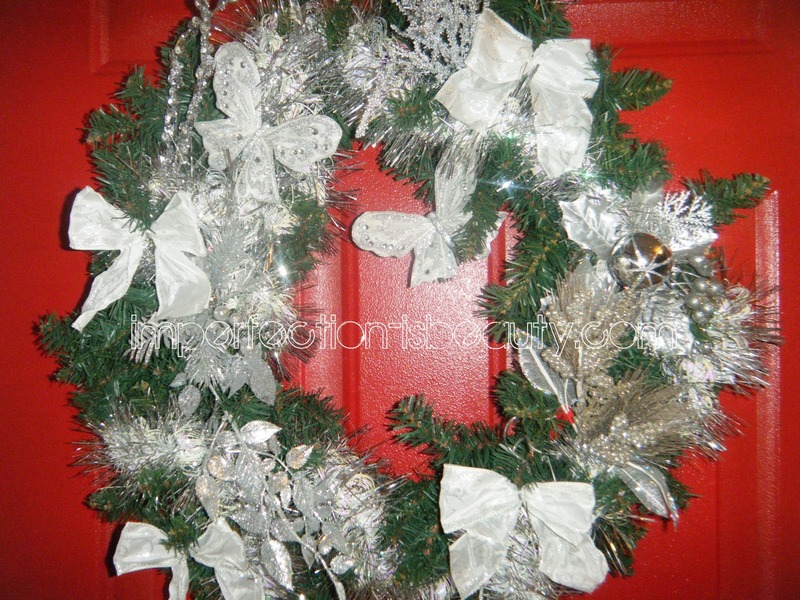 I also redid my wreath this year considering last years was all colorful I decided I wanted my wreath to match somewhat so I made it all silver with a little bit of white. I bought everything to fill it up at Micheal's. I absolutely love making my own wreaths their so fun and you can use the items every year or switch it up like I did. Very pretty hun! I love christmas. It is just so gorgeous! you have reminded me to do my post on my decorations lol I had forgotten. 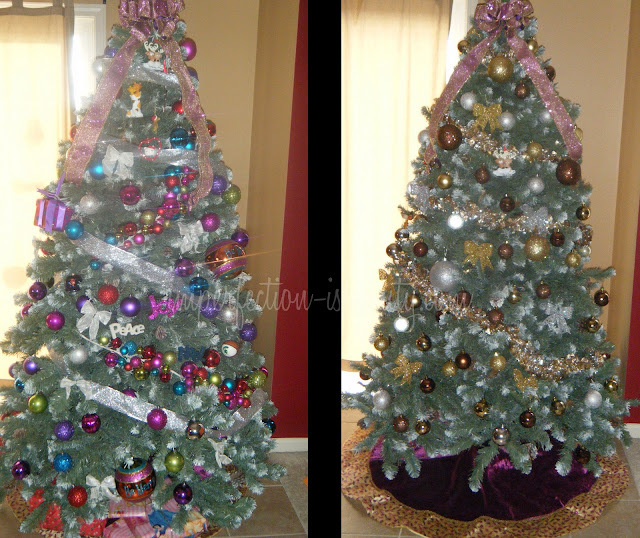 The tree looks beautifult! Great job! I think this years looks beautiful! Thanks for finallƴ writing about > "I love Christmas time☃" < Loved it!